Students have created an Ed Miliband fandom, where they praise the leader's government policies, leadership potential - and soulful brown eyes. 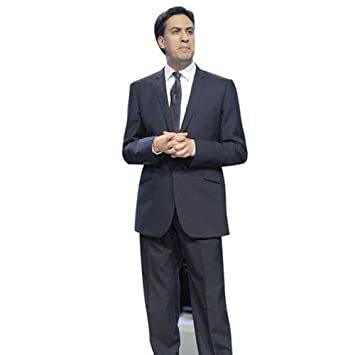 He's not the most obvious icon, but Ed Miliband has become the subject of a growing group calling themselves the "milifans". Mostly young women, many of whom are studying for school exams, have taken to Twitter to proclaim their affection for the Labour leader. But some are sheer poetry. Most importantly, the Milifans are genuinely engaged in politics. Many of them tweet about studying the subject, and the de facto leader of the fandom, a 17-year-old named Abby, is urging other young people to take an interest in Labour policy. Which, helpfully, can also serve as a sort of domestic scarcrow. @twcuddleston Hi Abby - Delighted that you’ve joined Labour, welcome. ANOTHER UPDATE! He's commented on the Milifandom! During an interview with Radio 2, Ed's commented on his new fans. "I told my wife about it and she thought it must be a case of mistaken identity," he told Jeremy Vine. "She went from amused to bemused." "I'm definitely blushing now," he said, before a saucy bit of self-deprecation: "I certainly wouldn’t claim to be cool... I’ve never been called that." He added that the person who started the fandom is making a "serious" point about young people being given a voice. Swoon. › How has Britain's most deprived community fared under the coalition?